In New Mexico and across the U.S., the overwhelming majority of personal injury lawsuits are settled through negotiations, thereby avoiding prolonged litigation. In most respects, this is a good thing. If you or someone in your family has suffered serious injuries, or a family member has died due to the negligence of another individual, a lengthy court battle can be emotionally taxing at a time when you are already coping with significant challenges. It is important to realize, however, that the attorney you choose to represent you has a significant impact on the outcome of your case. Whether your case is resolved through negotiations or through litigation, you need a lawyer who has a thorough knowledge of the law and a proven ability to obtain full value for your injury or loss. 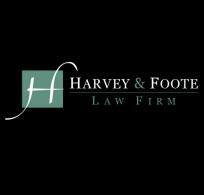 We work with clients throughout New Mexico on a contingency basis, which means you only pay attorney fees if we recover a financial settlement or verdict for you.